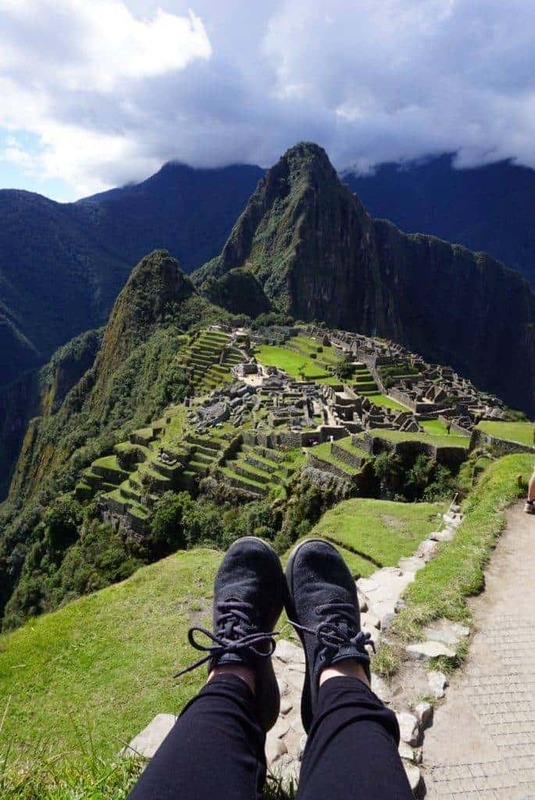 When I was researching how to get to Machu Picchu I couldn’t find any information that explained how to get there from door to door so I want to let you know how to get to Machu Picchu and back again in a day. And no it wasn’t rushed at all but a rather relaxing day. 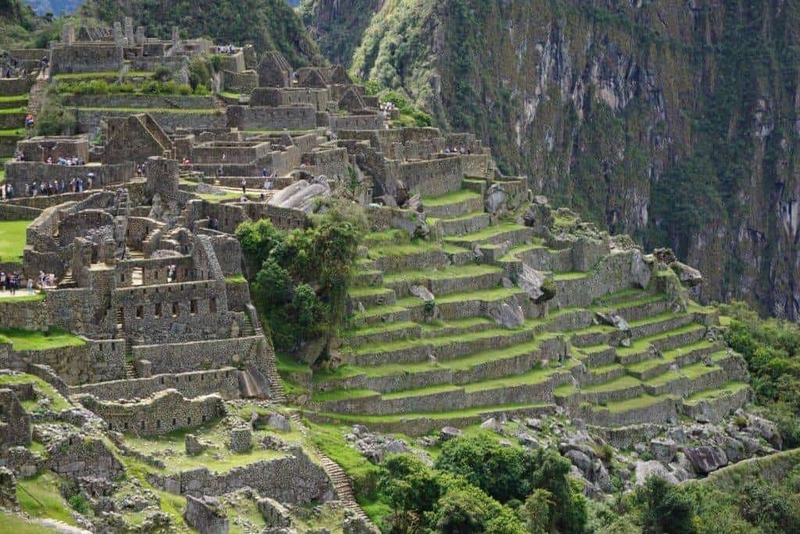 This itinerary will show you how to get to Machu Picchu from Cusco and then back to Cusco. The train ride takes 3.5 hours. Enjoy the views! Once you get off of the train in Agues Caliente you will have to go through all of the market stalls to exit. The vendors are very friendly and they know you are heading to Machu Picchu first. Don’t worry, they will get you on the way back. Buy a bus ticket to take you from town up the hill to Machu Picchu. You can walk this but for me with the altitude I was not going to try. Buy a return so you can come back down. 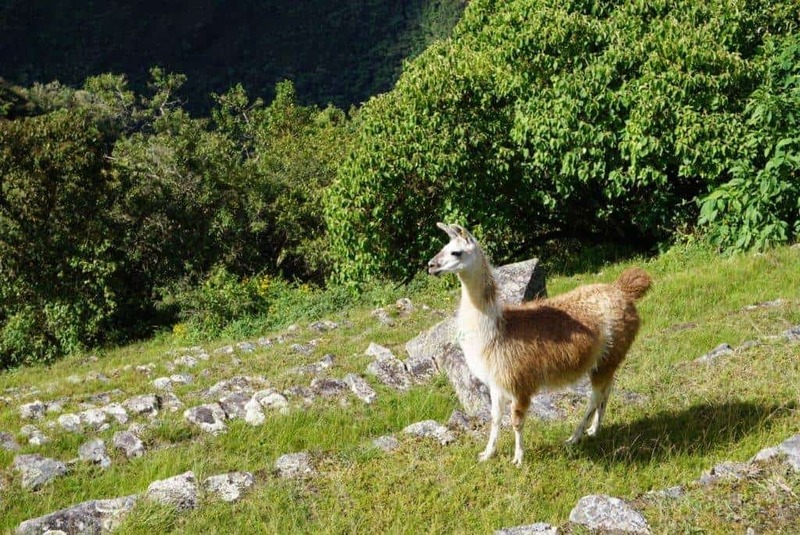 Once you arrive at Machu Picchu you will need to have your ticket checked. You can take in backpacks but no umbrellas! Enjoy the site. There are plenty of places to get away from it all. As you can see in my pics I have hardly any other people. Get a local guide. This is a once in a lifetime trip for some people. Don’t you want to know the history of the site? On your way out do not forgot to get a passport stamp from Machu Picchu. It is a little kiosk where you can stamp your passport and it is free. Check the situation with the buses. There is usually a long queue to get back down but don’t worry there are plenty more buses coming. It was easy for me to slip on a bus as they only needed one seat to fill. Head back to the train station and back to Cusco after seeing this amazing New Wonder of the World. As you can see it is a full on day. I could have stayed longer at Machu Picchu but every bus I saw leaving was packed and the queue for the buses was getting longer and longer. Remember that Machu Picchu is at an elevation of 2,430 metres which is lower than Cusco at 3,399 metres but do take it easy climbing all over the site. You can read my story of dealing with altitude sickness while at elevations. The Vistadome is the best way to experience the ride to Machu Picchu. 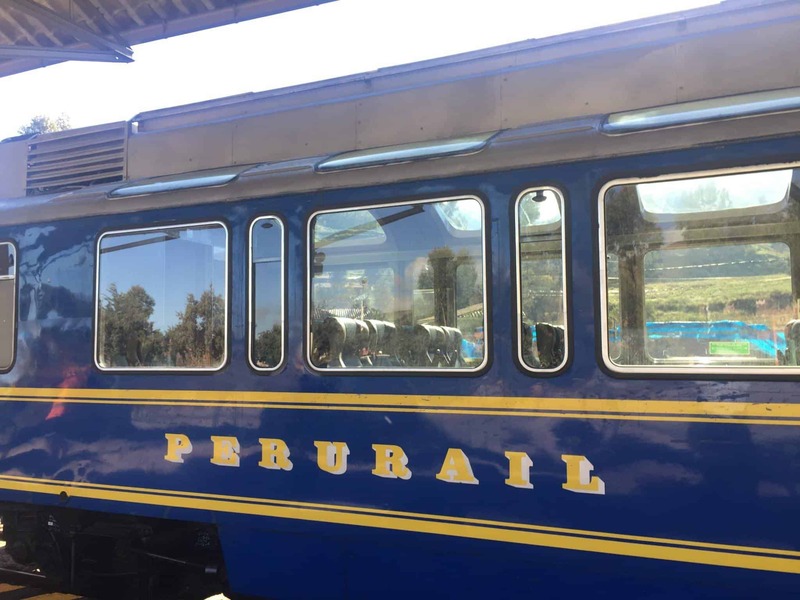 A train with panoramic windows that will ensure a one-of-a-kind experience during your trip to Machu Picchu, with traditional music, cuisine, and dances. The time on the train to Machu Picchu really did fly by and the seats were so comfortable. I remember being at the ticket gate and then saying I wonder how far I have to hike to see Machu Picchu. Well, its basically right inside the door. 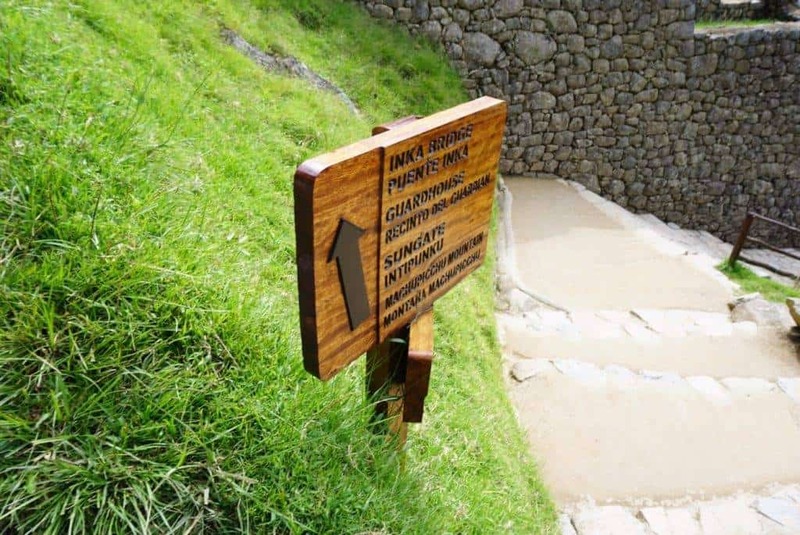 When I walked in I took the first trail to the left which is the Machu Picchu trail and can take you all the way to the Sun Gate. But this is where the views are overlooking Machu Picchu. I spent a long time up here just taking it all in. I didn’t even take photos for the first half an hour. Then I decided to walk further up and see what else there is. There are a lot of people just chilling on the grass and also a few llamas here and there. 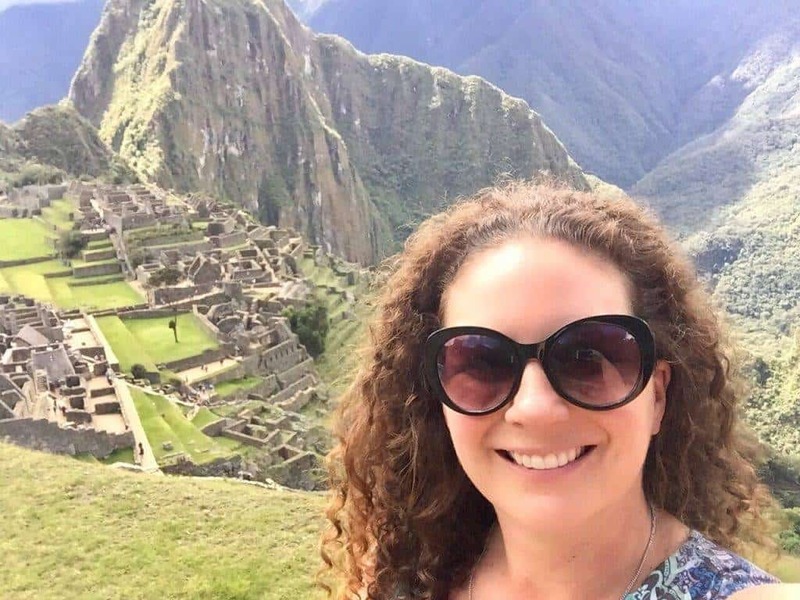 I took the obligatory selfies and the shoe shot overlooking Machu Picchu point. It was surprisingly calm there. So after about two hours I decided it was time to go in and explore the ruins. I ran into people who had hiked up the hill for sunrise that morning and were still going. When I first booked I wasn’t sure I would have enough time but because I had read about it ahead of time and it was sign posted well I knew where I was going. 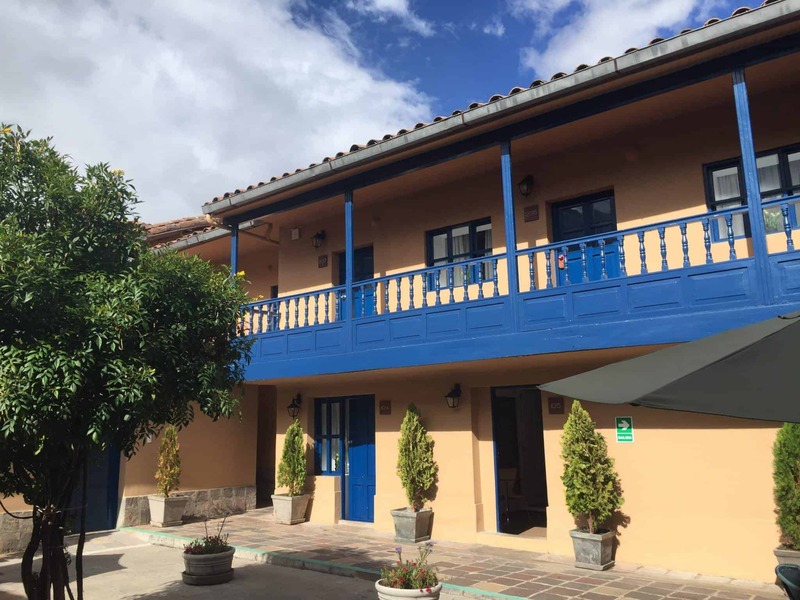 Tierra Viva San Blas Hotel is an excellent hotel with a great location. 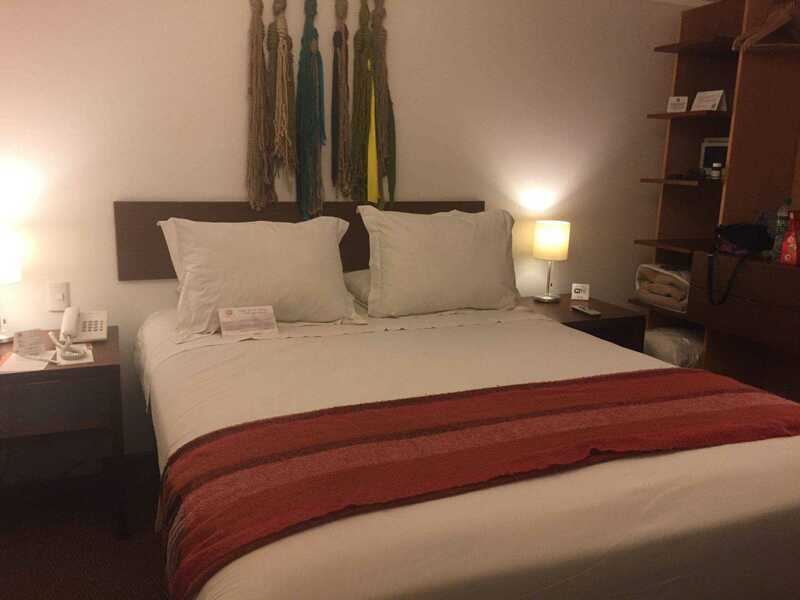 I think this is one of the best value for money hotels I stayed at in Peru. The price included breakfast and free wifi that was seriously good. The staff at Tierra Viva were excellent as well. Always helpful and smiling. You know me, I bought a local SIM card and recharged it. They couldn’t figure out how to buy the internet package I wanted at the shop so I took it back to the hotel and they helped me no problem. Between the copious amount of Colca tea I drank in the reception (to help with altitude) to free breakfast and wifi I certainly got my moneys worth here. 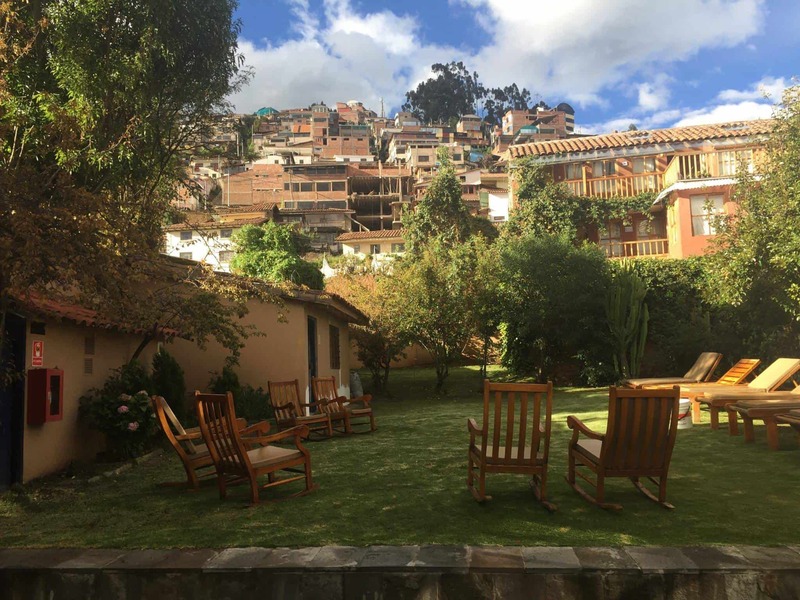 I actually really enjoyed my time here and decided to stay at another Tierra Viva Hotel while I was in Peru. Oh Cusco, you were the little break that I needed after having travelled non stop for 7 weeks. Four days at the Tierra Viva San Blas was just what I needed as I explored this cute little city. I arrived in Cusco after finishing my tour in La Paz and stopping off at Lake Titicaca. I arrived on my overnight bus with Peru Hop at 5am. I was happy to actually get into my room at 6am for an early check in and shower and have a snooze. Cusco’s elevation is at 3400 metres. I had been at altitudes of 3,000 metres for two weeks now and it was starting to drag on me. But Cusco didn’t seem as bad. Maybe because I was just chilling when I was there and taking it easy it wasn’t affecting me as much. 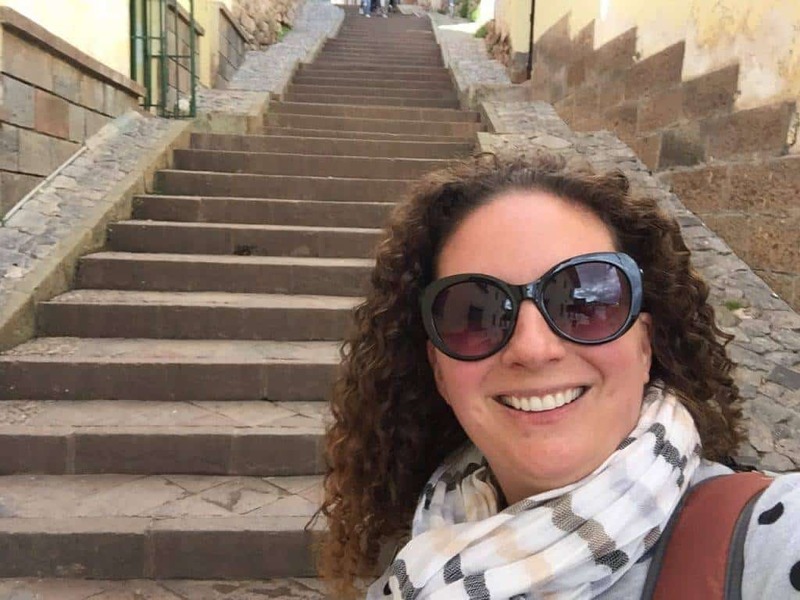 Actually, other than the stairs in Cusco the most strenuous thing I did was go to Machu Picchu and since that is at a lower elevation than Cusco it wasn’t too bad. Many thanks to the Tierra Viva Hotels for my stay in Cusco and the Peru Rail for the train to and from Machu Picchu. As always, all opinions are my own. Awesome! I visited Cusco in 2013. All set to visit Machu Picchu. Excited. Then I got a wicked case of food poisoning and crawled on all fours to tell the tour operator I would not be able to make it LOL. 300 buckeroos down the drain, but oh well. 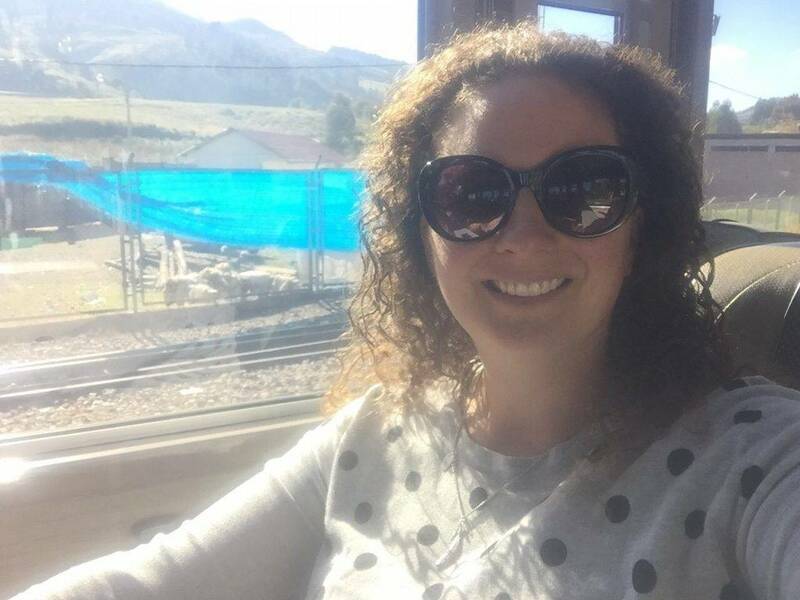 I get to live vicariously through your inspired post, with those cute llamas and amazing scenery and those fab train rides. Looks so awesome! You can’t tell how many people were with you in the photos…I would assume they spread out at the site? The ones at Stonehenge were EVERYWHERE. I love the llamas, were they friendly? Fascinating~ your photos pulled me in! Now I want to go Mach Picchu. I love how you shared specifics on how to get from Point A to Point B. Great tip on once you arrive, it’s all right in front of you. Great timing! We’re planning a trip to Peru next year and I’m starting to research on how to get to Macchu Pichu. Looks like you had a great experience, thanks for sharing!